Move beyond reading “card by card” and learn to provide powerful readings with a nuanced, flowing narrative like that of a story or poem. 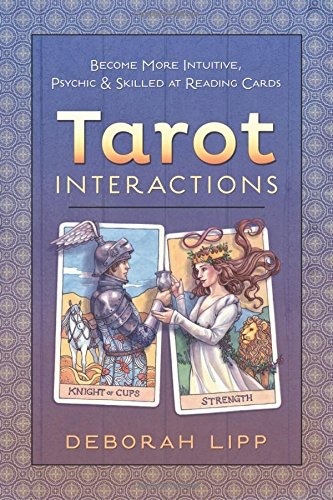 Designed for both beginners and advanced students, Tarot Interactions shows how to interact with the cards in a synergistic way, leading to more dynamic readings with any deck or oracle. 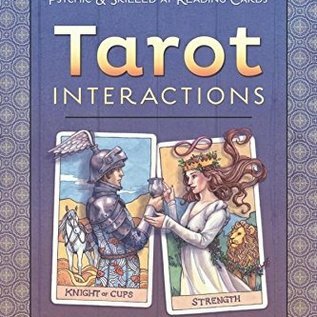 Join author Deborah Lipp as she reveals a unique approach to the tarot, with accessible lessons on patterns and layouts, card pairs, using language and storytelling to deepen a reading, techniques for interacting with querents, and developing or utilizing psychic ability. Explore simple yet effective exercises on topics from pathworking to meditation, as well as tarot experiments and games. Take your reading and intuition skills from wherever they are now to wherever you want them to be with this indispensable guide.